From lush flora and exotic birds to tranquil seas and soft palm-lined sands, Fiji is a picturesque dream destination like no other. Shimmer - 15ml. OPI Nail lacquers contain no DBP, Toluene, or Formaldehyde, and each includes OPI’s exclusive ProWide™ Brush for the ultimate in application. Infinite Shine features a simple three-step system; first, apply Infinite Shine Primer (Step 1), which goes beyond the capabilities of a standard base coat to prime nails for a revolutionary grip on colour, while also preventing staining. Next, select your gel-lacquer shade (Step 2) and paint two thin, even coats for richly-pigmented, vivid color. 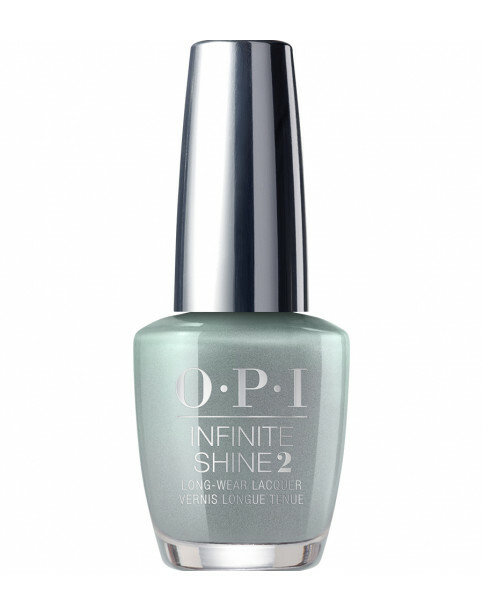 Finish with Infinite Shine Gloss (Step 3), a state-of-the-art gel polymer top coat that cures in natural light. Product is easily removed with standard nail lacquer remover; no soaking is required. I Can Never Hut Up is rated 5.0 out of 5 by 2.